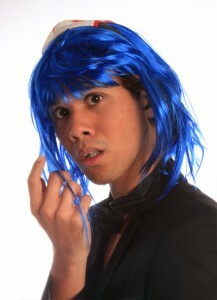 Ryan has been part of ImproGuise since 2005 when he completed his Drama Honours at UCT, focusing on different forms of improvisation for theatre. When he’s not being a silly man he is a writer for comic books, animation and video games (scratch that – he’s always a silly man). To check out some of his work, and stalk him (we know you want to) check out www.bitterplayhouse.com. Join us at Alexander bar from the 4th to 6th of October as we create the lives and relationships and happenings of a group of people who live at a place that you make up! Looking to get YOUR Improv on? Every Tuesday you are welcome to join us from 7 to 8.30pm at the Waterfront Theatre College for an evening of Improv. Classes are run by our most experienced improvisers and for just R50 you will get to play with some of the best of them. Learn, hone, imagine, brush up on your skills, all while having the most fun possible. Please contact tandibuchan@gmail.com to reserve your place or for more information.